The Parasite was first published by Tanjen Ltd as an illustrated novella back in 1996. Tanjen closed down a number of years later and since then the novella has been difficult if not impossible to obtain. There are copies out there, but checking recently I haven’t seen one for below $50.00, which is a hell of a lot for something only 130 pages long and perhaps only for completists. I’ve edited it again, thought I haven’t been too heavy-handed since I didn’t want to deliver something that had completely ceased to be the original. This is my first attempt at self-publishing through Amazon Kindle. I hope you all enjoy it! 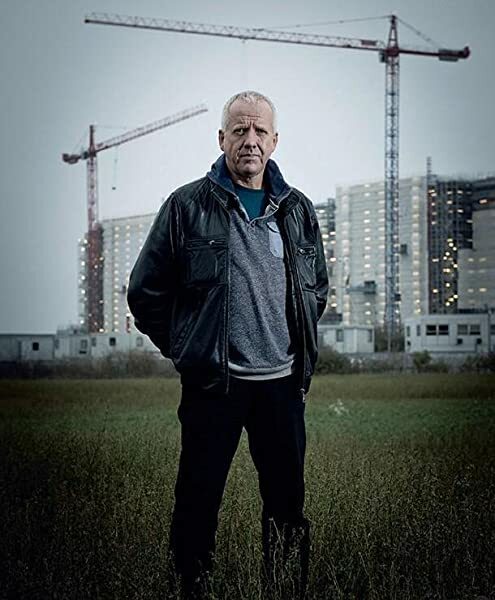 Having only just recently started reading Neal Asher's books he has become one of my favourite Sci-Fi authors around. Mixing many elements of fiction, his Polity series of books have become a firm favourite of mine. In the span of the last year I have gone through all of the Cormack books followed by the series based around the Spatterjay virus. Looking for something new to read I came across this on Amazon. 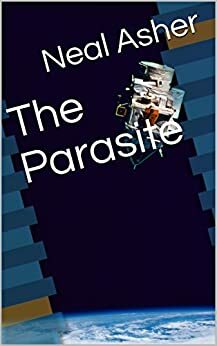 The parasite is actually the second of his published books, more a novella than on his main books. Written 5 years before the Polity would be unleashed on the world. Yet on reading this book you find that much of the ground work for what would become the Polity is in here. There are mentions of AI's and Golems, Alien virus' (the central concept of the book) and the illegal weapons so dangerous they should never be used. In fact one of the weapons would later appear in the second of the Spatterjay books, The Voyage of the Sable Keech. Jack Smith is a comet miner, a job that is being phased out as manufacturing plants can now easily reproduce the rare elements found on these comets. But there is something else on this asteroid and it is something that will come back with Jack Smith to Earth. This is a tight and fast paced book, coming in at around 130 pages, I blasted through it in about two nights. While not tied to any of his pre-existing Polity universe, as mentioned above, you can see many of the themes that will occur in many of his later books. In particular the virus/parasite taking over and the change in humanity. My only problem with the entire story is that one character is abandoned in the final parts of the book with no follow up or closure. It is hinted at that the character has a problem (don't want to say more than that for ruining the story). Other than this little blip it is an excellent story and well worth the money. So many opinions and all of them with some merit. True, this skimpy novella by Neal Asher is in parts badly edited, poorly proofed and written in clumsy cliche, but Asher himself explains some of this in the product description. And there's more than enough of a foretaste of what was to come in his brilliantly-realised universes to make it worth a read: fantastic yet believable characters, space and city environments you can smell and touch, complex corporate, state and personal morality (or lack of it), and - of course - bone-crunching ultra-violence. All delivered in the sharp prose regular readers will have come to love. If you're new to Asher, this isn't the place to start (other reviewers have suggested better places). If you're already a fan, this is a flawed but worthwhile mini-treat. Short but perfectly formed tale. An alien parasite, a human parasite and a cyborg battle their way to a fitting, and satisfactory, ending. The Wonder Horse recommends this to anyone in need of a short escape with a thoughtful book. I read the Kindle edition of this story and it is a good story. When you think about it, the scenario presented of alien parasite infection is very believable and very frightening. As someone who lives in Essex I was pleased to see Essex being used for some of the locations. The story itself while short, has a few surprises. The premature resolution of a central issue leaves you wondering where the story is going to go. The new direction for the story is where open ends are left. Personally I was left wanting to know what happened next. As its quite an old story I'm not sure if the author is going to expand it with a follow on so I may never know. Overall, its a good story and a pleasure to read. I am relatively new to Neal Asher's novels and thought I'd try this short story out. It is short but, for a change, that suits the price so as long as you don't expect 1000 pages I think it's good value. Hat's off to Mr Asher for letting fans get hold of a copy of the book, long out of print and expensive second hand. Fantastic story. You can see some Gibson influence and a bit of cyberpunk, but still a Neal Asher story and in the polity genre ( but not of it). Thanks for publishing it! I would probably never have got read this otherwise. I was surprised when this came through the post - it's tiny. That's the only reason it drops a point. Despite this, the story is fantastic. By a strech of the imagination, it even follows on (or rather precludes) other things in Asher's universe; then again Asher isn't always known for consistent continuity. Any book by Neal Asher is a treat. He brings a different perspective on some common sci-fi themes. Wound around likable characters( not always human) and strange worlds. While not his best it is still streets ahead of most.